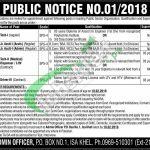 Get Atomic Energy Jobs 2019 PO Box 01 Isa Khel Latest Advertisement announced on 20th January 2019 at this page of our site. A Federal Government operating Public Sector Organization working under Pak Army is looking for talented qualified and competent individuals for the appointment of following vacancies given below. Jobs in PO Box 01 Isa Khel to apply are (Tech-I, Jr. Assistant-I, Jr. Assistant-I (Admin), Tech-II (Medical) Dispenser/LHV, Driver-III). The organization offers competitive and career-oriented opportunities in a conducive working environment with attractive salary and fringe benefits against above-mentioned positions and selected candidates can be appointed anywhere in Pakistan. Candidates willing to apply for the posts should read the criteria mentioned in the image posted below and according to the criteria for all positions DAE, BA/BBA/BCS/BSc/FSc/Matric is required. No 3rd Division in the entire academic career is required. Candidates must not be below 18 years and more than 35 years of age. So, only suitable candidates meeting criteria should apply as per the following how to apply procedure given below. 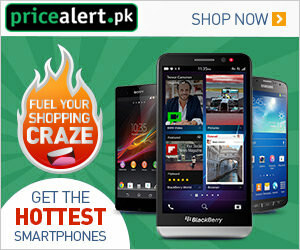 Applicants are required to download the application form from www.JobsAlert.pk. Applications along with attested copies of educational degrees/certificates/experience certificates, CNIC, domicile and recent photographs should reach the following address given below. Those who want to apply for both posts should send separate application for each post. Name of the post applied for with Sr. No. should be written clearly at the top right corner of the envelope. Only shortlisted candidates will be called for test/interview. For more Government Jobs please visit our site JobsAlert.pk. Address: PO Box No. 01 Isa Khel.